What could be more festive than holiday music with a ragtime flair? 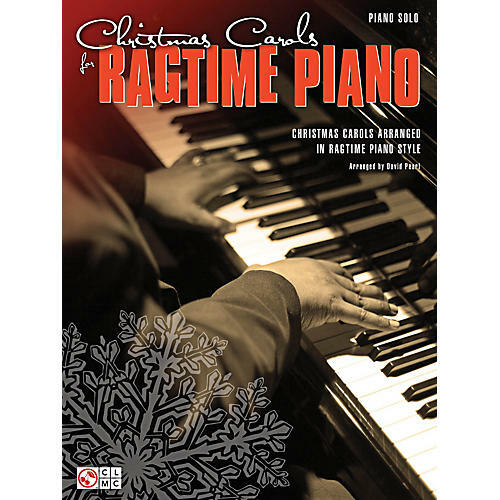 This collection features 18 holiday tunes in piano solo arrangements reminiscent of the ragtime era. Includes: Away in a Manger ¢ Deck the Halls ¢ Go, Tell It on the Mountain ¢ Hark! The Herald Angels Sing ¢ Joy to the World ¢ O Christmas Tree ¢ O Little Town of Bethlehem ¢ We Wish You a Merry Christmas ¢ What Child Is This? ¢ and more.